BRYAN EATON/Staff photo. 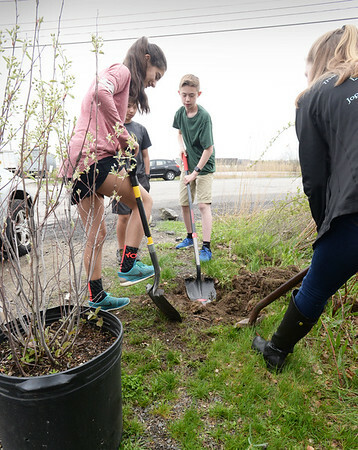 Students at the River Valley Charter School in Newburypor plant one of two Amelanchier trees, also known as "service berry," which were donated by SLS Landscape and Design for Arbor Day. The trees are native to the northeast and students also received saplings to take home with them.